Starting Saturday April 13th he will be here for a free picture with him 11am – 6pm. Monday April 15th to Thursday April 18th the Easter Bunny will be here 5:30 – 7:30 for pictures. Our Annual Easter Egg Hunt will be at 2pm. Registration is open at 1:30pm. This is open for kids 2-10 years old only. The Easter Bunny will have some help from the Bass Pro Associates hiding eggs. We will have the children meet us at the Fish Tank at 2pm to start the Egg Hunt. At registration each child will receive a bag to collect 5 eggs (1 of each color from different departments in the store) the child will then bring them back to the registration table to receive their candy. Easter Day Sunday April 21st the Easter Bunny will be here for one final visit of the year! 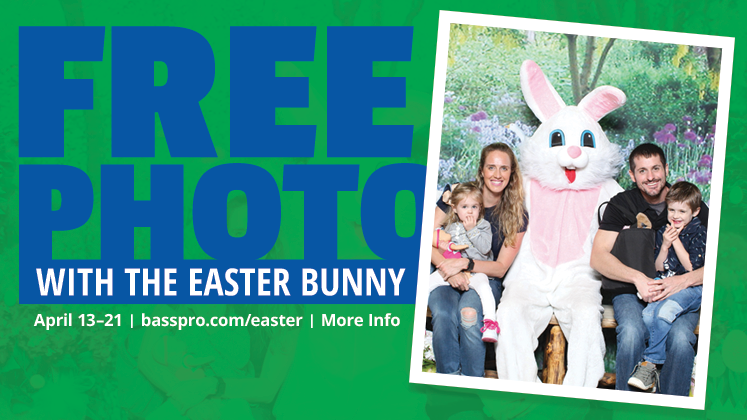 Photos will be Noon – 5pm and a free Stand Up Bunny craft to do Noon – 4pm. Did you know we welcome dogs in our Atlantic City location? 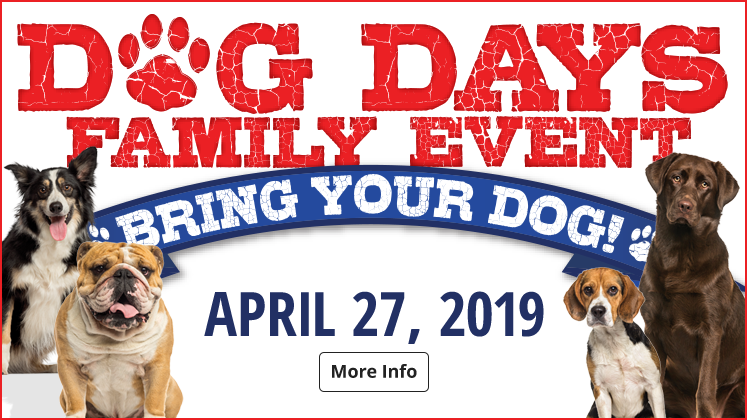 Did you also know that twice a year we have events just for dogs? Three seminars are on tap for the day on a variety of topics from dog training to health and wellness. At 2:30 we will finish the event off with a "Best Trick" contest! Capture Mother's Day this year at Bass Pro Shops of Atlantic City with a FREE 4 x 6 picture. A beautiful backdrop will be set for photos to be taken in our store Saturday May 11th, Noon - 5pm and Mother's Day Sunday May 12th, Noon-4pm. On Sunday the first 75 customers to get a photo taken for mom will receive a plaid tote. There are 2 different $5 Photo packages available for purchase both days. The 1st package option will include (1) 6 x 8 print and digital image. The 2nd package option will be (1) a Mother's Day card Print and digital image. Bass Pro Outpost in Atlantic City is located at the foot of the Atlantic City Expressway and the gateway to the South Jersey Shore. We invite you to start your outdoor adventure by stepping inside our great indoors. With over 85,000 square feet of outdoor fun we are sure to have something for everyone! Bass Pro Outpost is the place to visit whether you are down the shore for the day, a week or live here year round. We are the leading hunting, marine, boating and fishing supply outfitter. Additionally, we feature a wide variety of outdoor gear ATV’s and Tracker boats. Saltwater or freshwater fishing gear, beach, boating, and camping supplies, men’s, ladies and kids apparel, sunglasses, gifts and much, much more are all located under one roof. Once you walk through our doors take a few minutes relax by to our cozy fireplace and let yourself be transported back in time to a rustic South Jersey fishing outpost. Our outpost is complete with collectable rods, reels, motors, pictures and more. We even have a replica of the largest striped bass ever caught off a jetty in Atlantic City (78.8 Pounds) over our fireplace. As you move into our store you can’t help be being awed by our 2 story Delaware Water Gap waterfall and our 13,000 gallon fresh water fish tank featuring fish found in and around New Jersey. Bass Pro Shops own artist have captured scenes from the Mullica River over the fishing department and the Forsythe Refuge over our Camping department. Stand back and see if you can find the hidden “Bass Pro” in the marshes. To further enhance your experience Bass Pro Shops artist have hand painted murals of fish and water fowl ringing our balcony. On the wall over our footwear department you can find Water Fowl of the Garden State. When you walk up our open stair case, on the Atlantic Avenue side of our store, to the second floor you come face to face with replicas of wildlife found swimming in and around the Absecon light house. When it’s time for you come back down to the first floor give our bear cave stairs, located behind our waterfall, a try. But, don’t forget to look up you’ll come eye to eye with black bears looking down on you. We offer on-site parking. The first hour is always free with in-store validation; simply stop by our customer service counter. Four hours of parking, in our on-site lot, is free with a purchase of $30 or more; just show your receipt to the parking attendant when you leave, no validation is necessary. Bass Pro Outpost is open 364 days a year; closed on Christmas Day. We are pet friendly. Our events range from the Spring Fishing Classic in February to the Fall Hunting Classic in August. In between our Classics we have a number of other FREE family events, like Dog Days, Go Outdoors, Gone Fishing, and Family Summer Camp. For the kids, we also host in-store events for Easter and Halloween. We end the year and celebrate Christmas with Santa’s Wonderland. In November, the Santa parade winds its way through Atlantic City and ends at Bass Pro where Santa is greeted. Through December 24, come in and get your FREE 4x6 photo with Santa, and let the little ones play games, make crafts, and play with some of the hottest Bass Pro Shops toys of the season. 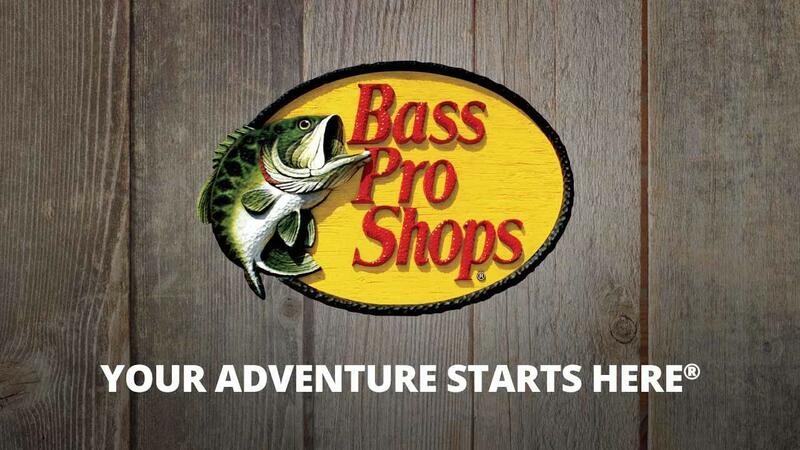 When we are not hosting events at our store, we take Bass Pro Outpost On-The-Road. We participate in the Atlantic City Boat Show, the ACUA Earth Day, National Nights Out, The New Jersey Outdoor Expo, The Atlantic City Seafood Festival, the Atlantic City International Airport Customer Appreciation Day, The Ventnor Christmas parade and so much more. 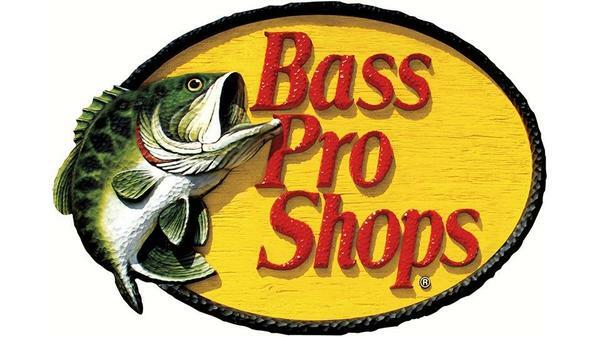 So, keep an eye out for Bass Pro Outpost at the next event you attend, we might just be there!